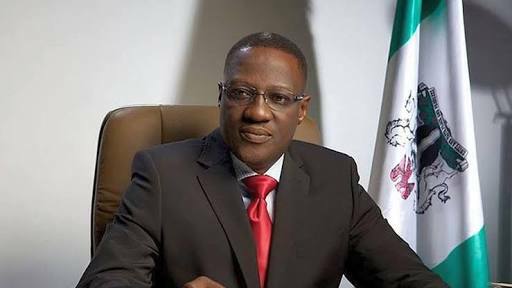 Kwara State Governor, Dr Abdulfatah Ahmed has announced his government's decision to link Aran-Orin Township road in Irepodun Local government area of the state to Osun State boundary. Gov Ahmed made this disclosure on Wednesday at Aran-Orin during the inspection of ongoing projects in Irepodun and Ekiti Local Government areas of the state. According to the governor, his government had already constructed 3.6kms Aran-Orin road out of six kilometres, saying that the government would construct the remaining 2.4 kms to link Ila town in the neighbouring Osun State. Governor Ahmed who also inspected Oke-Opin Township road in Ekiti Local Government, Ipetu-Rore-Arandun road in Irepodun Local government area, said the quality of works done on the roads were in consonance with funds released for the respective projects. Gov. Ahmed also directed immediate rehabilitation of Oke Opin - Epe Opin community bridge to control erosion in the area. According to the governor, "the Infrastructure Development Fund established by this government has made funding of our projects much easier". "I'm very impressed with the quality of work done and I can assure everyone that all the projects will be taken to completion levels by this government". Gov Ahmed promised that no part of the state would be left out in the provision of infrastructure for even development of the state. At the Kwara State University, Ekiti Campus, Gov Ahmed assured Kwarans that the project would be completed by October this year, promising that the campus would begin academic activities immediately after the completion of the project. Gov Ahmed explained that the establishment of the campus would further open opportunities to students seeking admission into the University. He explained that the establishment of the campus would further open opportunities to students seeking admission into the University.